Thanks for reviewing all these different options of time-tracking/task management software from the perspective of an academic researcher! 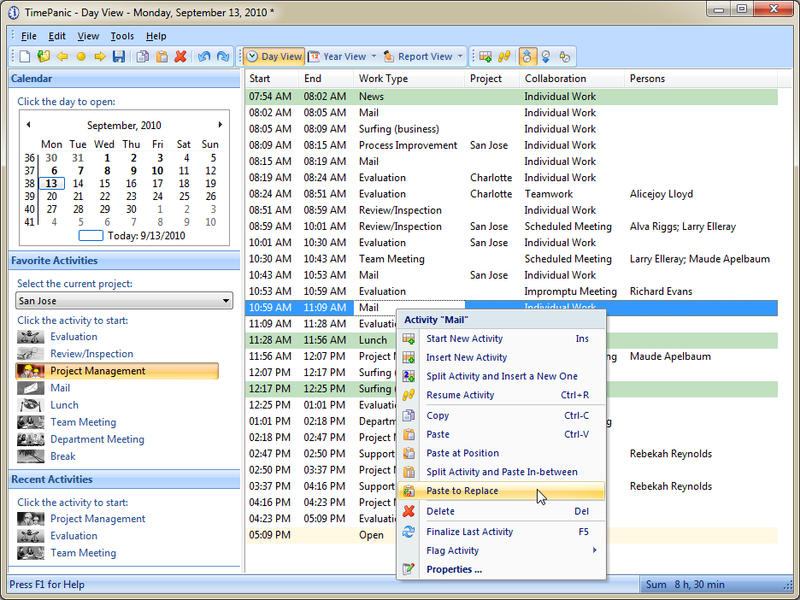 It will be very cool to see your system of integrating asana with timecamp. Please post your follow-up soon! Very good review that made me discover other platforms for project and time management. Many thanks! Hi. Thanks for this great review of tools. Personally I am thinking I would like to assign my time to projects in advance, then track progress against that allocation. This is for ongoing research programmes rather than defined tasks. e.g. “This month I would like to spend X hours on A, Y hours on B, Z hours on C”. And then I would like to measure progress against those targets. Do any of the above apps support this approach? Yes, Kanbanflow allows you to assign estimates to each task. Asana only has rudimentary support for this (you put the number of hours in square brackets in the task title). I think Timecamp doesn’t support this. Thanks again for all these thoughts. I thought I’d let you know I’ve just settled on the free combination of Trello + Tmetric. My main requirement was tracking total time against various types of work e.g. core research, grant writing, admin, supervision etc, and doing so for free. I decided to drop the preallocation of hours – it’s fairly simple to do that elsewhere, the challenge is seeing where my time has gone against those categories. Trello is well known and good, and you can set up a Kanban board in it. Integration with Tmetric allows you to track time. By default each trello board shows up as a tmetric project, but the trick is, you don’t have to stick with that: you can assign a project of your choice when you click ‘start’ in trello. Hence, I made a ‘project’ for each of my categories (research, grants, etc) and can track time against them. Various other combinations allow for this use case with tags or labels, but usually that’s a premium option. The only other free option I found was hourstack+asana, but that forced me to search for my asana tasks in hourstack and also plan days in advance; a much clunkier workflow than trello+tmetric. Thanks for reporting back. I actually like Tmetric quite a bit too, but the absolute deal breaker for me is that they don’t have sub-tasks. More specifically, their Asana integration isn’t really a proper integration (they are not – like Timecamp is – accessing the Asana API, only the webpage) so that Tmetric is not able to mirror the task hierarchy in Asana at all (see here: https://support.tmetric.com/thread/sub-tasks/). Yes, I have since found that the trello card tmetric project mapping is not remembered between sessions so I often have to re-specify which project I’m working on. Still sticking with the system for now though. I’ve added two more columns to my trello board in addition to the three kanban categories: one for items where I’m waiting a response from someone to proceed, and another for ‘nonspecific ongoing’ for small tasks I won’t categorize but want to track e.g. meetings of various kinds and general admin. Happy to hear you found our TimeCamp and its Asana integration useful! Feel free to contact me in case of any questions. Thanks for mentioning Clockify! At first glance it looked promising so I tried it out but I have to say that “Asana integration” is an overstatement. From what I can see, Clockify doesn *not* integrate with Asana. The reason they claim that they do (and heaps of other services) is that their Chrome extension allows you to select text on any (!) website, right-click on it, select “Set timer with description ”” and that will start a timer for you. That is not what I call integration. In fact, I would argue that calling that integration is very close to being a scam. It’s an elegantly simply solution that may work for some, but if Asana integration is important for you, I still think, TimeCamp is your best choice. As I said in the blog post, I am not aware of another time tracking tool capable of properly syncing the complex task hierarchies of Asana as well as maintaining the link between the Asana tasks and Timecamp tasks if you move them around, i.e. if you move task A from project X to project Y in Asana, Timecamp will also move it to project Y in Timecamp.